Excellent biology revision notes from S-Cool. They cover the main principles of most syllabuses, but check out your own to ensure coverage. Colourful, interactive science activities from the BBC Bitesize on the key areas: materials, energy, light and sound, humans, plants and animals. Designed for 10 to 11 year olds. An appealing adventure style game for 7 to 9 year olds where you can take part in fun missions for the 'Environmental Intelligence Unit'. See how you can help to save our planet. It's fun! Superb interactive, illustrated tutorials and quizzes on human anatomy and physiology. This is a work in progress but definitely worth a visit if you are studying the human body. Are you interested in your school becoming an Eco-School? Find out how to register and how joining the programme can reduce the environmental impact of the school on your community. Awards available. Learn and play your way through the wonderful world of wildlife. A brilliant site for learning about and testing your knowledge of the human body. Try the interactive games on the skeleton, senses, organs, muscles and more. A BBC site. This excellent website supports KS2 pupils' learning in the classroom and at home. Choose from a range of interactive learning materials, downloadable resources, videos and games. The website is a comprehensive education programme which communicates up-to-date, evidence-based, messages around ‘food’ to all those involved in education. 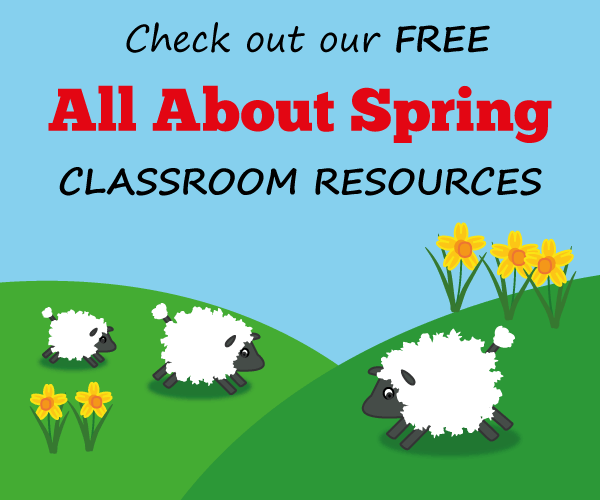 The are excellent free lesson plans and printable or presentation resources to support teachers. For 5 - 6 year olds, this site looks at differences between living and non-living things, the names of the main body parts of humans and animals and how animals move in different ways.